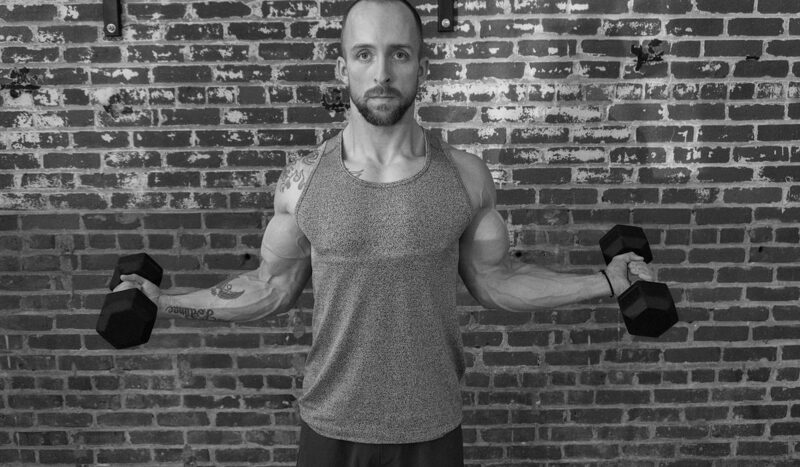 Eric Pyne has been a personal trainer in Atlanta since 2008. He currently trains his dedicated clients at Urban Body Fitness. He is an Ambassador for Lululemon and is scouting primo ocations in and around the Buckhead community to open his own gym in early 2018. 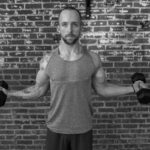 He trains individuals from all backgrounds, catering each workout to their specific needs and desires with a never-ending variety of strength and cardio moves that make the sessions fly by. 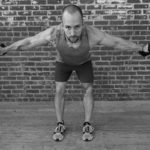 Eric is a former CrossFit competitor and champ and has a comprehensive understanding of the many options a gym and training session has to offer. 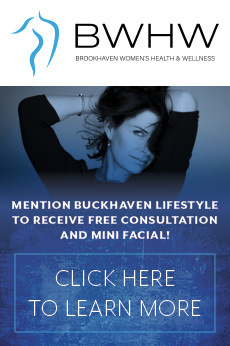 Here is his go-to workout designed specifically for BuckHaven Lifestyle readers. 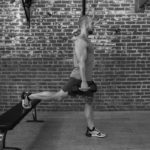 The dumbbell Bulgarian split squat is a single-leg strength exercise that targets the glutes, quads, and hamstrings. 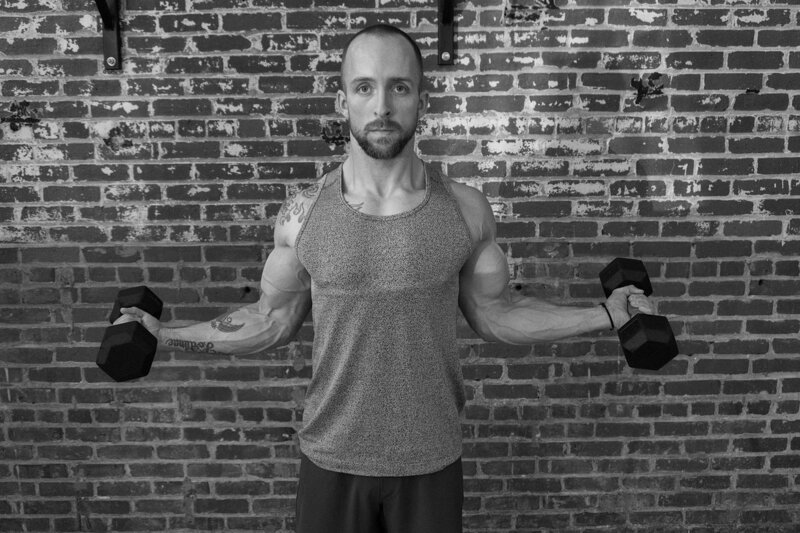 Start by holding dumbbell weight on each side of your body with arms fully extended. Place your rear foot on the bench with feet approximately three feet apart from one another. With your hips facing forward, lower them to the floor so that your knee comes close to the floor. Return to you starting position with a good squeeze in the glute. Perform 3 sets of this exercise with 20 reps on each leg. Feel the burn! With this movement, we are going to focus on the pectoralis major with some assistant from our triceps. You will need a stable bench and a set of weights that will allow you to accomplish a good 12 to 15 reps. Lie on your back on top of a flat bench with your feet planted into the floor and hold the dumbbell in each of your hands, right outside your shoulders. Your elbows should be bent at 90 degrees or a little inside depending on the flexibility in your shoulders. 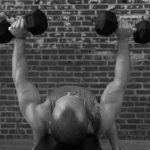 Press the dumbbell towards the ceiling by flexing your pecs and extended your elbows stopping when the inner dumbbells are an inch or so away from each other. Then slowly return the dumbbells to the start and repeat for 12- 15 reps for 3 sets. A rear deltoid fly focuses on your upper back muscle and shoulders while working on stabilization strength in your spine, deep abdominals and hips. Avoid working with heavy weights because this movement requires a neutral spine position. Pick a weight that allows you to perform 10 to 12 reps. 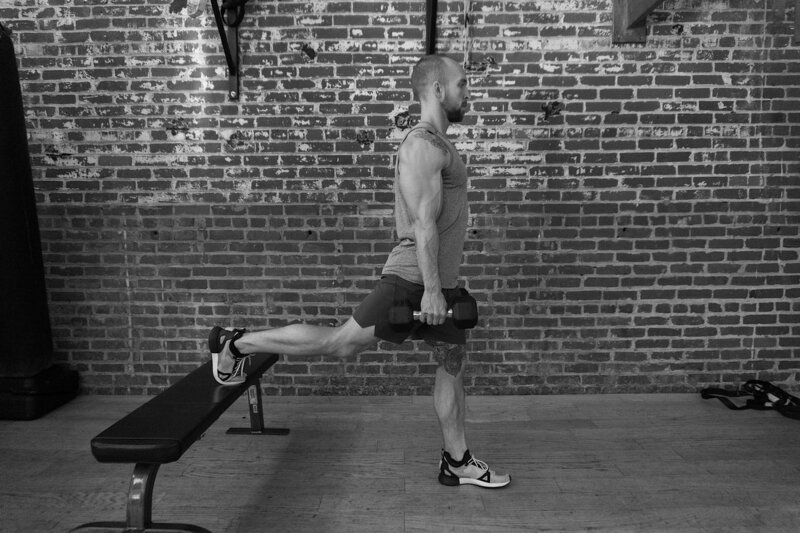 Stand with your legs hip width apart and hold the dumbbells in each hand by your side. Bend your torso forward and bend your legs slightly with your hands facing each other as you hold the dumbbells. Raise your arms out to your sides with your hands facing towards the floors. Squeeze your shoulder blades together during the movement and lower your arms back to the starting position. Perform 10 to 12 reps for 3 sets. There are plenty of variations of the bicep curl out there, but give this concept a try. 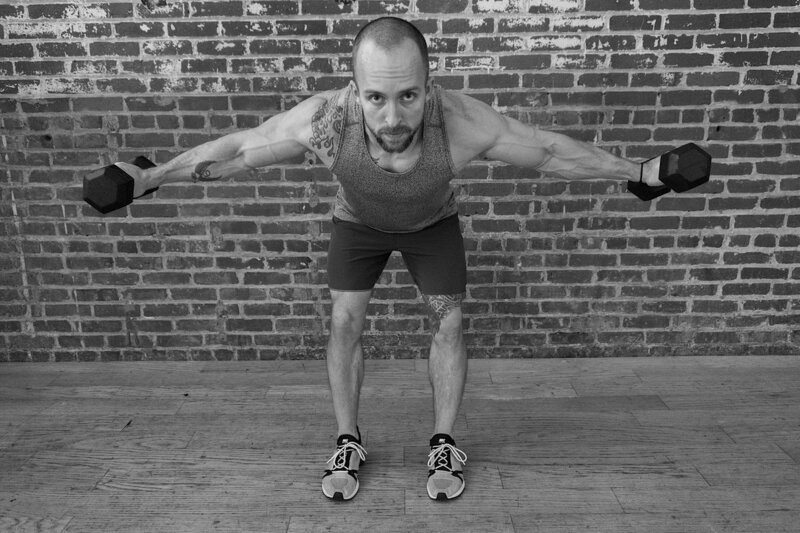 This movement will require flexibility in your shoulders so start light for 15 reps and move your way up based on form. Start with feet planted inside the width of your shoulders and stand tall with a slight bent in the knees. 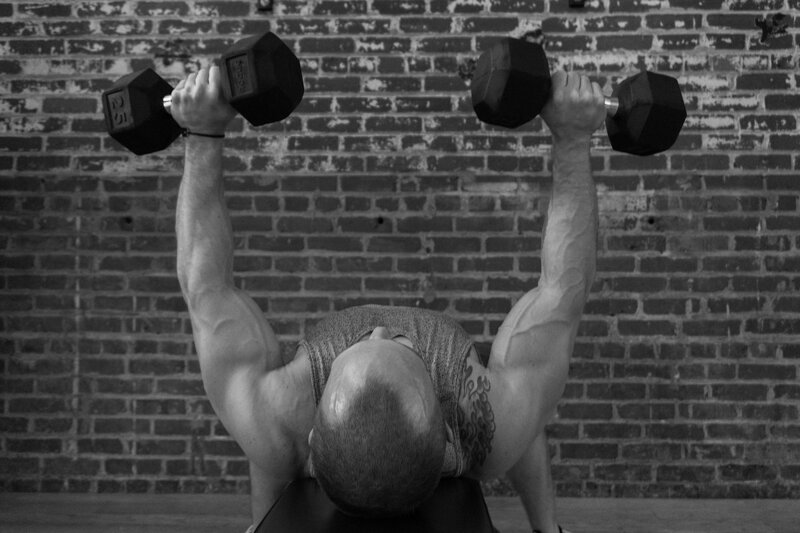 Place the dumbbells at the top of your shoulders with your palms facing one another. Keep your elbows out to the side of your body, facing down to the ground. Lower the weight so arms are fully extended and bring back to the starting position. 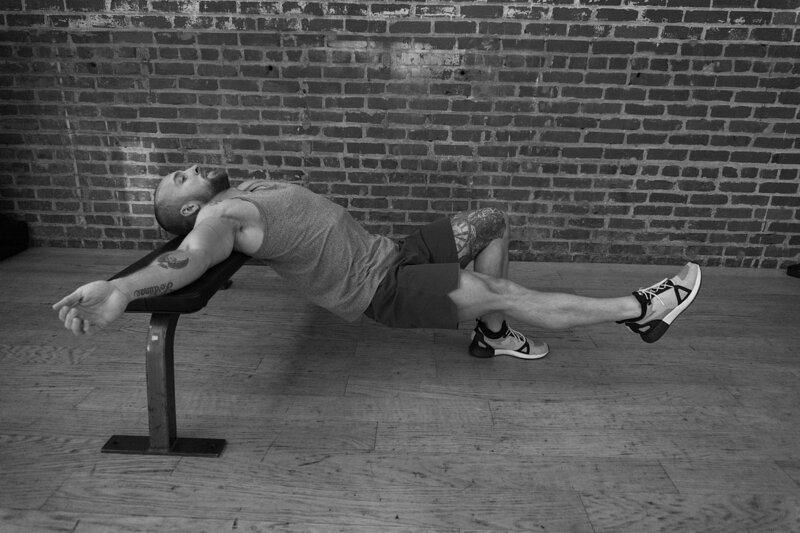 Perform this exercise for 12 reps and 3 sets.